Charles Duncombe came to Teddington in 1683, buying a property from the Marquis of Winchester which had probably been built in about 1665 by John and Anne Crofts. He altered the house, which became known as Teddington Place, incorporating ceilings painted by Verrio and panelling by Grinling Gibbons. He extended his estate in 1683 by buying three further properties that year, 7 further acres in 1689, 32 acres in 1701 and yet more land in 1702. Some parcels of this land lay across the parish boundary with Twickenham, later coming into the occupation of Horace Walpole as he assembled his Strawberry Hill estate between 1749 and 1790. Writing in 1784 Walpole confessed that, although he paid rent "No Man living can tell me which they are". Duncombe bought much other property, building a house at Barford in Wiltshire and acquiring the Helmsley estate in Yorkshire in 1689 from the executors of the Duke of Buckingham. slides to a Scrivener or a City Knight." These lines, from the Second Satire of the Second Book of the Imitations of Horace were actually written in 1733, over 40 years later and 22 years after Duncombe had died. His enormous fortune was made in the City of London where he founded the goldsmith's business under the sign of the Grasshopper in Lombard Street, later Martin's Bank. He was knighted in 1699 having spent part of 1698 in the Tower of London for a financial misdemeanour of which he was acquitted although undoubtedly guilty. He finally became Lord Mayor in 1708. 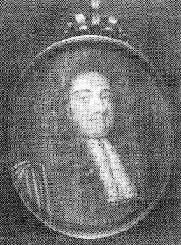 When Duncombe died, in 1711, both unmarried and intestate he was buried at Downton in Wiltshire, survived by his mother who died and was buried at Teddington aged 97 in 1716. Teddington Place came into the hands of his nephew, Anthony (1695-1763), later Lord Feversham and Baron Downton. Anthony married three times. His first wife Margaret Verney died in 1755 and is buried at Teddington, together with their three infant children. His second wife was Frances Bathurst whom he married in 1756. She died in 1757, leaving a daughter, also Frances who married John Bowater. In 1758 he married his third wife Anne, the niece of Dr Stephen Hales. Widowed, Anne then married William Bouverie later 1st Earl of Radnor of the 2nd creation. Their daughter Anne married Jacob Pleydell-Bouverie who became the 2nd Earl of Radnor. Both Lady Radnor and Mrs Bowater had an interest in the estate in 1800 when the common fields were enclosed. In the late 19th century the house was given the name Udney Hall, standing in what is today Udney Park Gardens, adjacent to St Albans Church, and was demolished in 1946.